The quality and the area of cell phone service have increased greatly in past couple of years in Mexico. 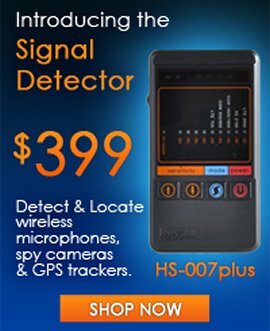 Cell phone service was really expensive but now its price is lowering and it becomes more and more available for users. The development of wireless communications in Mexico is going really fast because of the geographical conditions of the country. Huge chain of mountains that divide country in two parts slowed the development of wired networks down. 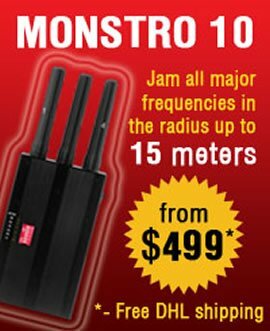 What about frequencies that are used in Mexico for wireless communications I can tell you that they are: 850/1900 MHz for GSM service, the same as USA and Canada use, 450/800 MHz for CDMA technology and 850 MHz for third generation communication. But the main and the mostly used standard in Mexico is GSM, the coverage is pretty wide and the quality of service is ok. 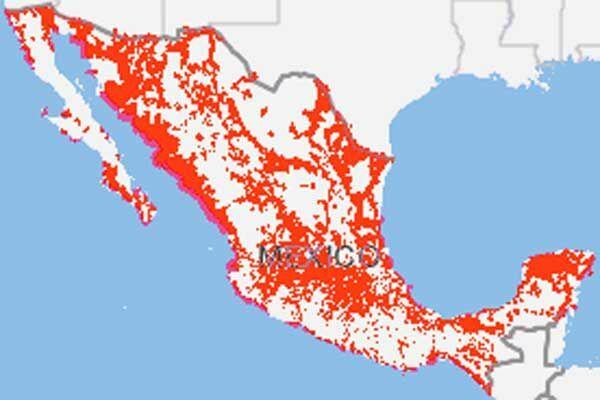 If you live in USA or Canada your cell phone will probably work in Mexico, but their roaming fees are just enormous, so it would be better to buy a SIM card of a local provider. Mexico has three main mobile service carriers. They are TelCel, Movistar and Iusacell. The major provider is TelCell because it has superior coverage and its share of a market compiles up to 77,2%. 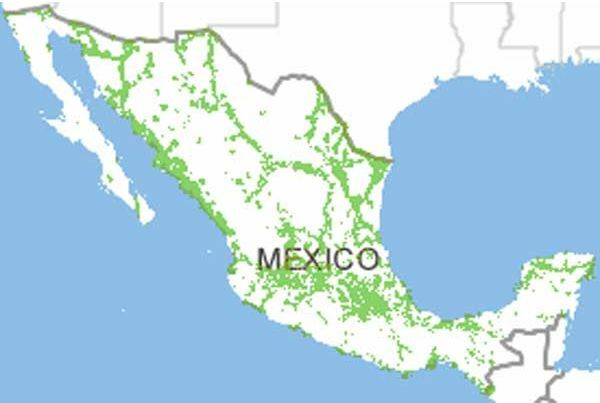 TelCel covers nearly 63% of Mexico’s geographical area, where 90% of Mexican population live. Coverage of Movistar and Iusacell are situated at the same spots where TelCel’s coverage is, but their area is really smaller. That country also has a fast growing 3G market. The majority in 3G service is held by Iusacell that provides access with CDMA2000 network, while TelCel uses slower 850 Mhz band connections which is based on UMTS/HSDPA technology. Also TelCel is about to launch a 4G network in Mexico’s major cities. The 3G coverage though is not really thick and you may see it at the following image. Now let’s take a closer look to those major service carriers and the standards they use for telecommunication. We will begin with the leader of the market TelCel. First if all you should know that that company suffered some fees and restrictions due to its monopolistic state. TelCel provides great 2G coverage all over Mexico, which is represented with GSM 850/1900 MHz standard. It provides voice calls, text messaging and with GPRS and EDGE – slow mobile internet. TelCel also developed 3G network based on CDMA Rev: 1x EV-DO with 850 MHz frequency. The 4G LTE is about to be launched. Iusacell also provide 2G network with voice calls and text messages on CDMA and GSM standard. 450/850 MHz and 850/1900 MHz frequencies are used accordingly. They also managed to build even greater 3G network than TelCel but their coverage is really small. They use CDMA2000 with 2000 MHz frequency for 3G internet. Movistar provides 2G communications with GSM 850/1900 MHz standard but their coverage is presented only in major cities and that is the reason of its small size. Mexico uses a little obsolete technology right now that is why the development of 4G networks will be pretty slow there. 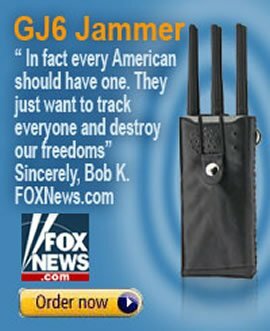 But if you go to Mexico you can be sure that our GSM, CDMA and 3G jamming devices will work there perfectly as they always do!